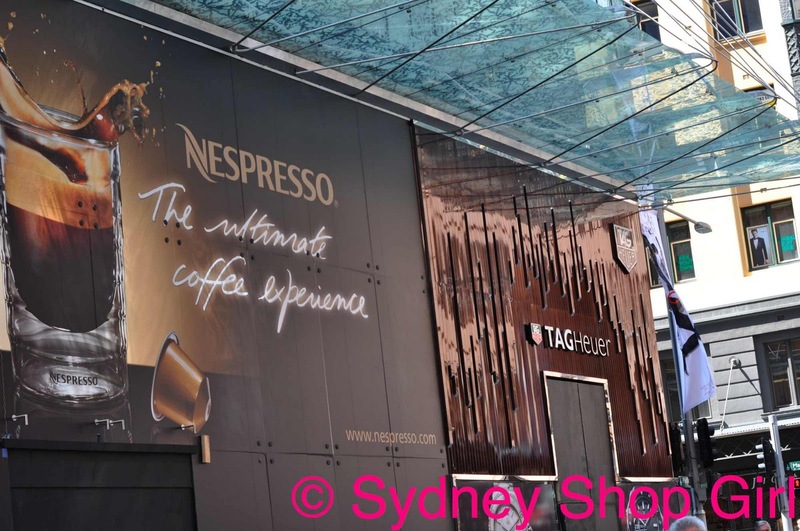 Sydney Shop Girl: Halloween On Pitt Street. In the Blackground. I'm not a Halloween person. I know those carved pumpkins look cute. I like the black and orange colour theme but meh, it's not my kind of festive event. So I wasn't dressed in costume when I made my first trip to the hallowed halls of Westfield Pitt Street. 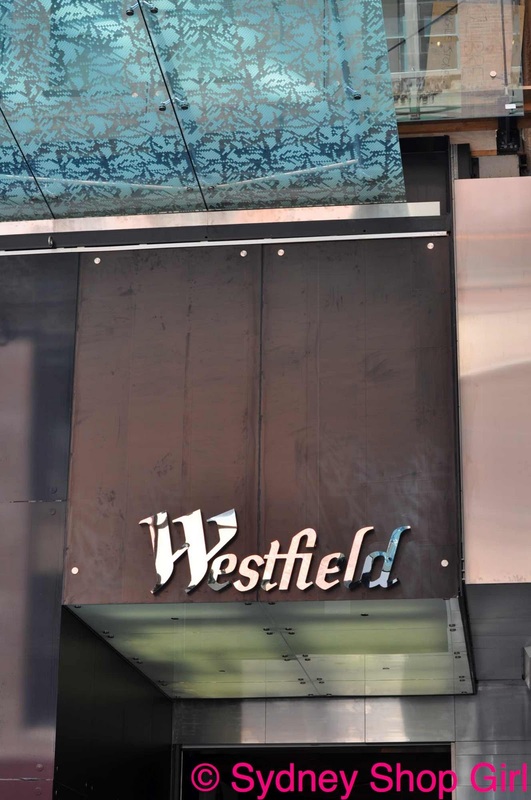 Westfield Pitt Street has been open for a total of 3 days and it's created a huge buzz in Sydney. Even Mr SSG made the pilgrimage on Friday. He wasn't overly excited. There were too many people, many of the drawcard stores hadn't yet opened and the foodhall wasn't in a sensible place like the lower ground floor. He'd seen it all before and to make matters worse? There were too many people for him to make a quick detour back out from whence he came. The cranes and construction site fences of recent months have disappeared. However, many shops had yet to open. Including the Louboutin store, Miu Miu, Zara and the spa pedicure salon. I was undeterred by his preliminary report. I had to go where no member of the SSG household had gone before. 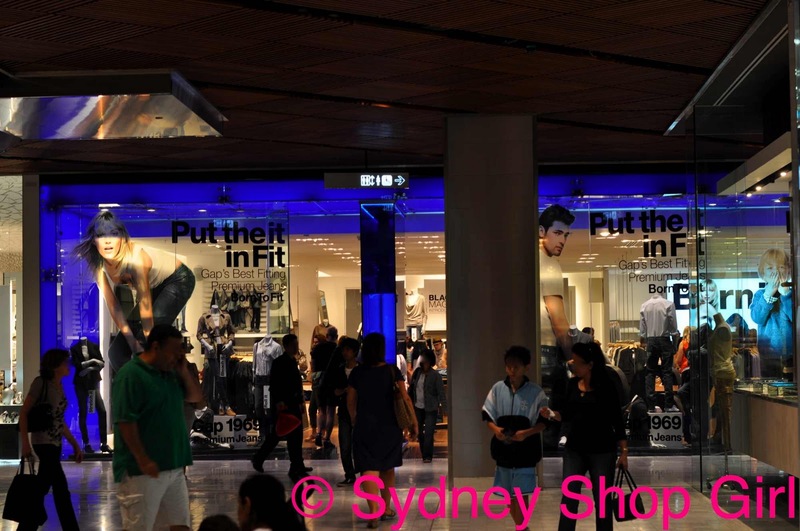 I had to find GAP, Pitt Street, Sydney. 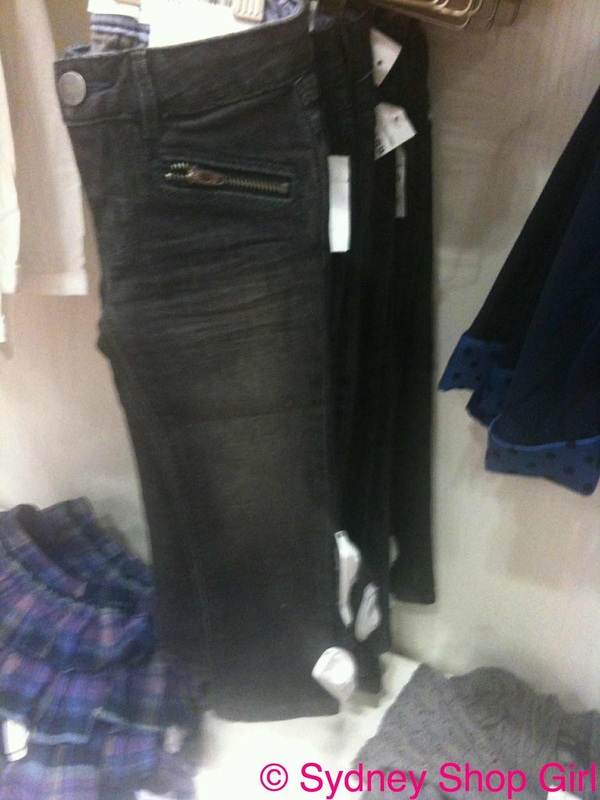 I can't seem to escape charcoal grey skinny jeans at the shops these days. Fortunately, these were in the toddler girl section of GAP and thus not my size. There were crazy queues for the changerooms at 10am. On a Saturday. For some reason, GAP is following the northern hemisphere clothing retail timeline. So the store was full of puffer jackets, woolen shorts and winter weight wraps. The chinos in various leg lengths weren't in store. There were however the range of tailored black work trousers. Many had sold out. My credit card and I left the store in good shape. 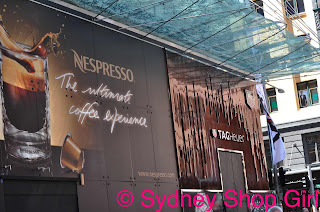 Something unique about the complex, at least for Sydney, is that the basement level is actually pretty funky. The central area of the basement features market stalls for designers who are usually part of the 'market circuit'. 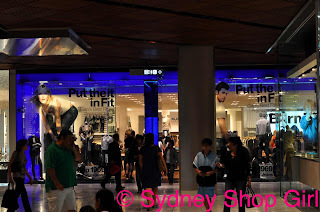 I liked that unique and reasonably priced fashion was able to mix it with the chain stores and the high end designers in a Westfield in the Sydney CBD. Having made some reference to Halloween in the title of today's post, I suppose I should write about some aspect of Halloween. I love youTube makeup tutorials. I find them very educational and much less threatening than fronting up to the makeup hall and surrendering a less than perfect, sweaty face to the hands of a makeup artist / sales assistant. One of my favourite youTube make up legends is TiffanyD. In the following video, she unlocks the secrets to a great smoky eye. It's ostensibly a guide to Halloween makeup but it can be generalized to your standard big night out situation. The thing about watching Tiffany's videos is that I come away realizing that I need one more item of MAC make up. I already own the whole set of Sigma makeup brushes that Tiffany seems to love. Sigma brushes are a great value alternative to MAC brushes in case you were curious. 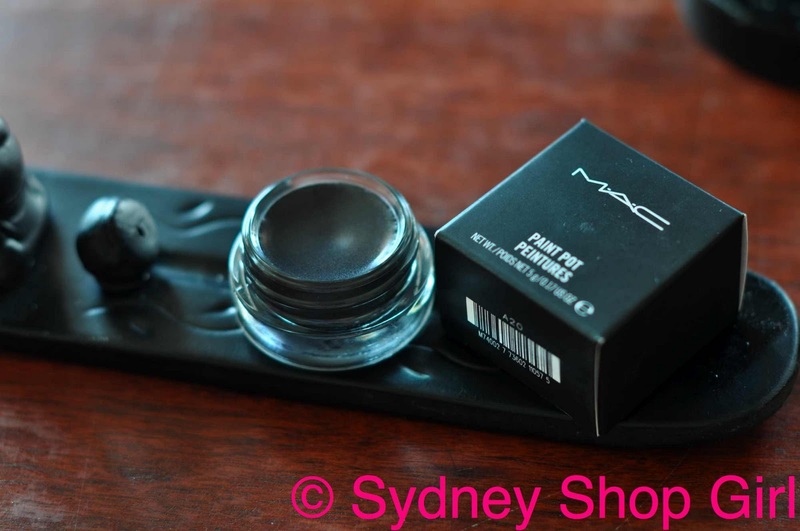 Case in point, her use of a black MAC paint pot as a base for the black eyeshadow part of her eye makeup. Fast forward a few hours and here we are at SSG Manor. With a new MAC paint pot. The shade is Blackground. I would have bought it on the strength of the name alone. Wouldn't you know it? I have the same black sunglasses as Tiffany. The ones she reached for when, mid make up tutorial, she had to answer to doorbell for the 'UPS guy'. It's less strange to wear Chanel sunnies in the house than it is to walk around with one eye fully made up and the other au naturel. Blackground is a soft dark grey. I'm going to test it out tonight. Mr SSG and I are doing date night. We're off to see The Social Network - the late session. To keep with tradition, we will be having kebabs beforehand. Wearing full eye makeup for kebabs and a movie makes perfect sense on Halloween. Here at SSG Manor, frugal health and beauty tips are greeted with great interest. 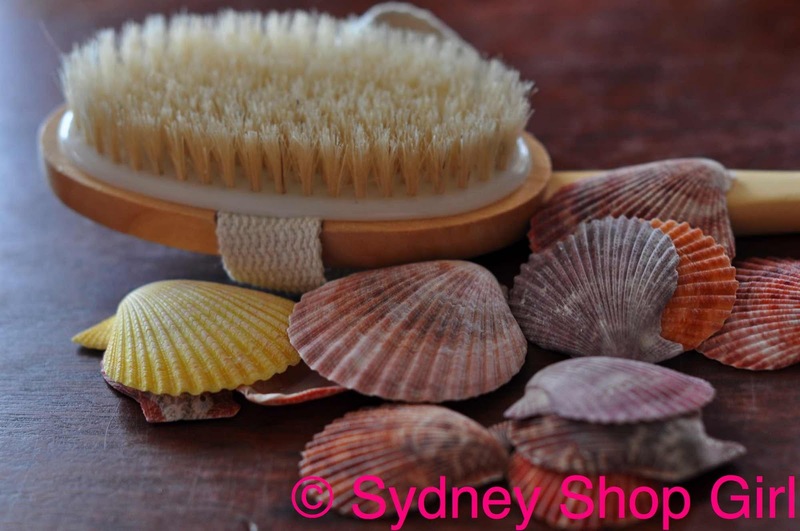 Say hello to my new dry body brushing brush. Surrounded by shells I picked up at my local $2 store. I'm trying to add interest to things I photograph at home. It's a rather natural and aquatic scene, don't you think? Almost takes you, the reader, to the beach rather than to the top of the SSG Manor coffee table. 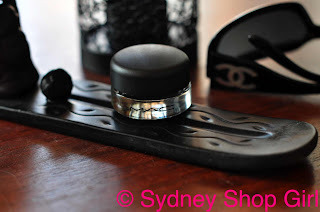 The brush is long handled and cost around $10 at Priceline. I'm mainly interested in dry body brushing as a quick alternative to using a body scrub in the shower. It seems less messy and I can get to my back better with a long handled body brush. Very important as we head into summer in Australia and I will obviously be spending much of the day in backless outfits. Not. I will update you in a few weeks about the state of my lymphatics and cellulite post dry body brushing. I'd best be off. Have to get dressed for the movies. Have a lovely evening wherever you may be. Hope you get treated rather than tricked. I love that makeup look. I bet you can carry it off too. Kitty: I have to agree with you. Will reserve judgement when everything opens. LPC: the eye makeup is a work in progress.